If you’re located in or around Kenosha or Racine County, choose Armored Sealcoating for your asphalt maintenance needs. We’re happy to give you a free estimate on seal coating your driveway or parking lot – call us today at 262-515-4150 or contact us online. Make Armored your first call for commercial seal coating and striping services. We’ll make sure your pavement is properly taken care of; assuring it looks and functions great for longer. Our contractors can take care of everything, from first-time seal coating to crack filling and pot hole patching. Have unique pavement striping needs? No problem! 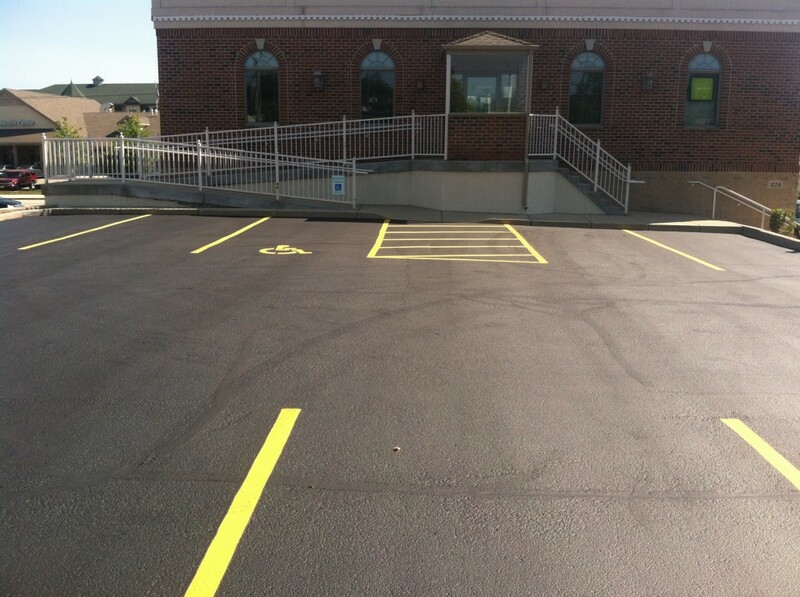 We seal and stripe parking lots and other asphalt areas for a number of commercial clients, including retail stores, banks, restaurants, churches, schools, office buildings, and more. Don’t trust your asphalt with just anyone, choose Armored Sealcoating. Our Kenosha asphalt contractors the perfect choice for residential seal coating and maintenance services. We strive for 100% satisfaction from every homeowner we serve; and achieve this goal by offering services better than the rest. Unlike other seal coating companies, we always apply two coats of sealant – no matter how small or large the driveway. This ensures your black top lasts longer and needs to be resealed less often. Are driveway cracks causing an eye soar; we can fix that too! Contact Armored Sealcoating for a free estimate today!